What Went Wrong: Somehow, Torii Hunter had never played a game in Coors Field despite a career that has spanned nearly 15 seasons. I hope it's another 15 seasons before he plays another game there after his debut resulted in two home runs (that traveled a total of 874 feet) and six RBIs. Of course it'll really only be 15 hours between games for Hunter, and one can bet he'll be among the loudest members of the welcoming committee for Jeff Francis. Also, C.J. Wilson was pretty filthy. 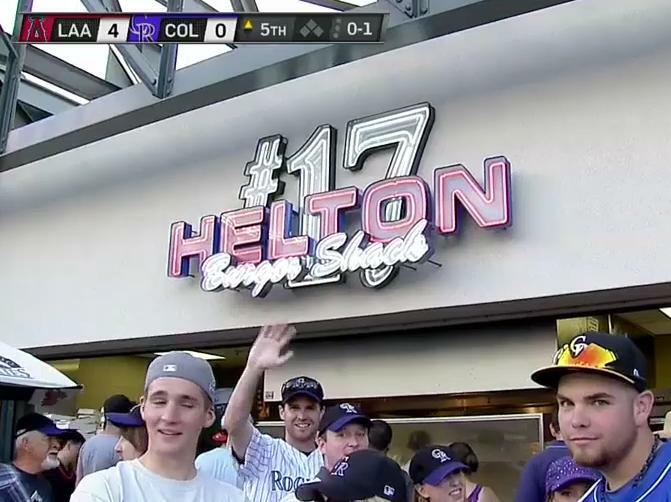 The Rockies would have needed 5-6 more innings to figure him out and/or wear him out. Turning Point: I would say everything Mike Trout (three hits, three runs) did was a turning point, because it led directly to the damage inflicted by Hunter. Trout's a damn good player. The Angels are a damn good team. I feel like White is turning a corner based on his win over the Dodgers on Sunday and this outing against the Angels. Yes, he was unable to keep Mike Trout off the bases. Yes, he made two critical errors to Torii Hunter. But he remained very composed throughout and didn't allow the game to get away from him. It's a good step forward. The key now, of course, is to plant both of his feet firmly in the ground and not allow the next start to go backwards. Always easier said than done. Where Torii Hunter's second home run landed. What's Next: More Mike Trout. More Torii Hunter. At least there won't be more C.J. Wilson at 2:10 on Saturday afternoon. 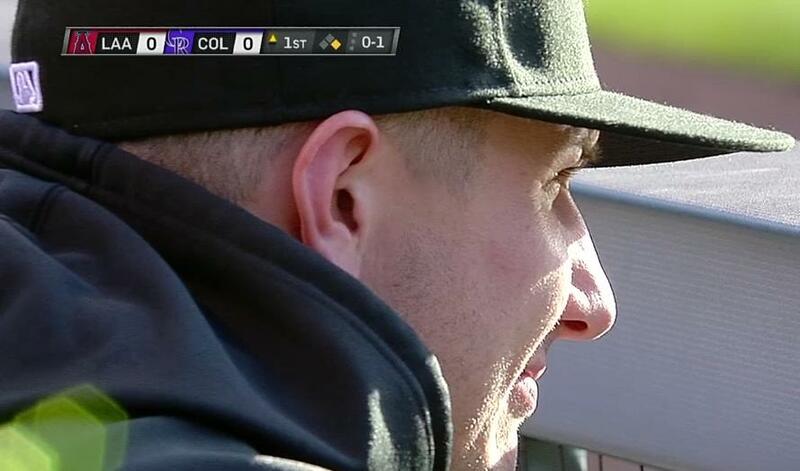 As I've mentioned previously, Jeff Francis will be making his Rockies return in that one. He'll square off against... oh crap... Dan Haren (3-6, 3.52). Final Thoughts: None. Good night and good morning.